Special Programs will begin at 7:00 pm, the second Thursday of each month with the PTHS board meeting to follow. Special Programs are indicated under the drop-down tab under EVENTS or 'Upcoming Events at a Glance'. All are welcome! March 14th 2019 ~ “Clocks: Their History, Styles and Repair” presented by Tim Simonson. Re-enactor & lecturer John Burke, Medina County Treasurer, accurately portray Captain Wolf, a Delaware (Lenapi) Indian who lived in Medina County at the time of the War of 1812 – telling about the Native American & pioneer experience of North Central Ohio 200 years ago. March 9, 2017 Jim Smith, Lorain County Historical Society Educator and Lecturer "A CENTURY AGO: 1917." presents what the U.S. was like in 2017. 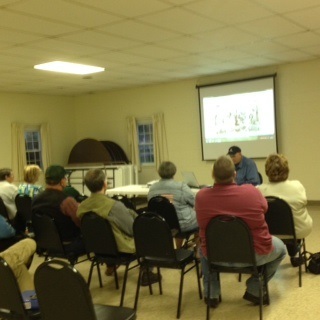 Nov 19, 2016 -- Mr. Adam Matthews presentation and talk about LORAIN COUNTY'S RAILROADS of the past and present. Very informative and great Power Point! 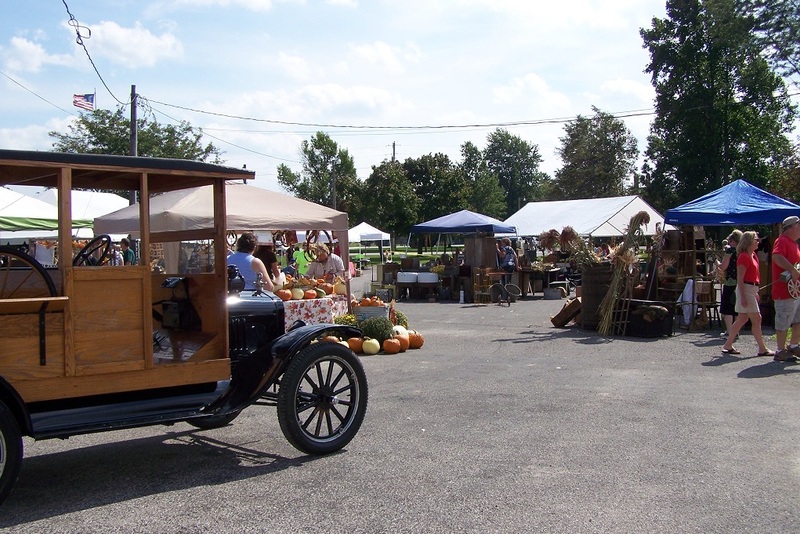 September 17, 2016; 4th annual Primitives and Antique Festival. Thank you all for coming and making this successful. proceeds for renovation of the schoolhouse. Food was terrific, Band was great. Thank you to our Vendors and all those who helped out. Sept. 19, 2015 - 3rd Annual PTHS Antique Primitives and Handmades Festival was fairly well attended, despite the weather. Food and Music was great. Wonderful Vendor items and the Schoolhouse tour was well attended. byJared Smith of the Carlisle Township Historical Society, and author of the book "Just a Place to Stay Out of the Rain: a History of the Lorain County Infirmary." Very informative, historical and interesting about the Lorain Infirmary. June 11,2015 – Program – Bill Cutcher (President, Brownhelm Historical Association), “Bill Long, the Lorain Airport, and Early Aviation” . 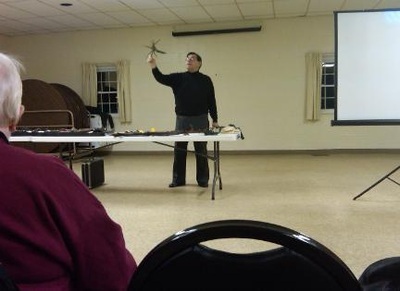 Fantastic presentation and info on aviation. May 14, 2015– Program with historian Jim Smith (LCHS), “1865, Civil War 150th Anniversary. Excellent! 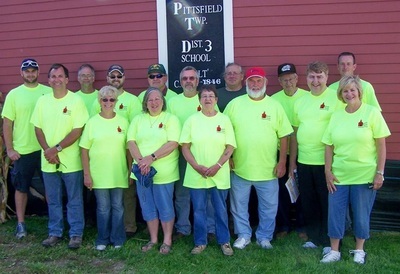 April 11, 2015– 50th Commemorative Anniversary Event, “50 Years Since the Tornado” Began at 2pm with about 215 attendees unveiling and dedicating a memorial plaque to those who lost their lives and to the Community of Pittsfield in remembrance of the 1965 devastating tornado. 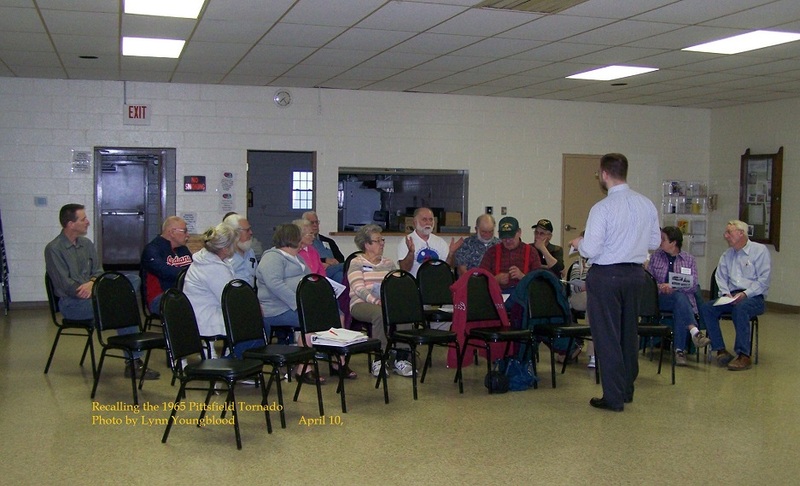 Guest speaker and author Roger Pickenpaugh "Night of the Wicked Winds" gave a great presentation, group discussion and various people who lived through the tornado spoke and described their stories. See photos below. DVD of this event is available for purchase. Includes aftermath photos and Interviews from survivors. Also recorded is the actual Commemorative Event and Plaque dedication. Contact us for details. 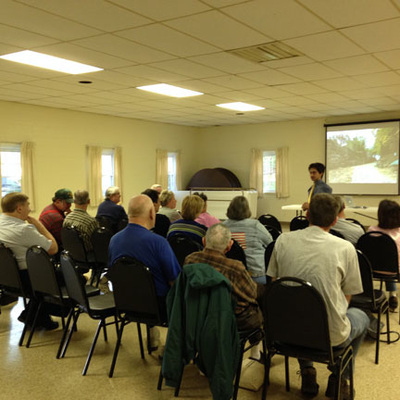 March 1, 2015 – Ralph Hayes, Local Historian presented, “The Churches of Pittsfield”. Annual membership meeting. 600 + people attended. Shawn Godwin was busy showing/explaining the Schoohouse info and history. 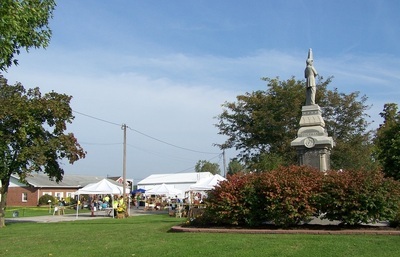 July 10, 2014 Annual PTHS Picnic at The Pittsfield Township Town Hall: weather was beautiful, food was great and good conversation. See you again next year! March 13th 2014: We held our Annual Membership meeting. Two new board members were nominated, Bill Molder and Jennifer Abram of Pittsfield Twp. and the resignation of Bryce Brown was accepted. Thank You Bryce for your contributions. September 9th 2010: We hosted a presentation on the Galapagos Islands by Keith Tarvin. 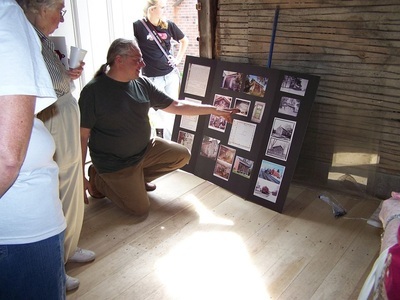 June 10th 2010: We hosted a presentation by Col. Matt Nahorn of the New Indian Ridge Museum. Col. Matt's presentation highlighted his efforts to preserve the legacy of Col. Raymond C. Vietzen a Kentucky Colonel responsible for creating the original Indian Ridge Museum. May 13th 2010: We hosted a presentation on Chrystal Beach by Marlene Feldkamp and her sister Sandra. We had a great time reliving the memories of this great family owned amuzement park. April 8th 2010: We hosted a presentation on the Palm Sunday Tornado of 1965 to a packed crowd with special guest Neil Zurker of One Tank Trip fame providing commentary. Neil who was on site in Pittsfield from the time first responders arrived had lots to say about his experience of being in Pittsfield just hours before the Tornado hit picnicing and then again later than night after the tornado hit. 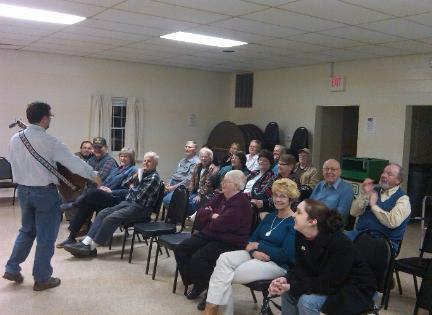 March 11th 2010: We hosted a presentation by Gary Gerome from the Lorain County Metro Parks on Civil War Songs. All in attendance had a lot of fun (Photo below) singing songs and learning a bit of the history behind them. February 11th 2010: We held our 2nd Annual Membership Meeting / Potluck Dinner. It was an opportunity for members learn more about the organization and each other. All who attended enjoyed themselves and many new friends were made. Dan Clark, President of the Pittsfield Historical Society reads the names of those killed during the 1965 Palm Sunday Tornado during the 50th Anniversary Plaque dedication ceremony. Church Bells were Chimed after Dan read each and every victim's name. The event was well attended by about 215 . It was a somber, yet memorable event. Veiled plaque for Commemorative. Below, the unveiling by families of victims of the tornado. 4-11-15~ The 50th Tornado Anniversary Plaque dedicated on April 11th, 2015 to those nine Pittsfield residents who lost their lives and also dedicated to the Community of Pittsfield which was changed forever on April 11th, 1965. The memorial plaque is mounted on the front of the Pittsfield Township Hall. Judy McCurdy and Dave Duchoslav unveil a plaque created to memorialize the victims who lost their lives the night of the Palm Sunday tornado on april 11, 1965. Judy McCurdy lost her father, Louis Klier. Dave Duchoslav lost Agnes Duchoslav, who was driving when the deadly tornado hit. From Chronicle-Telegram,Page A-2 Sunday April 12, 2015 Jon Wysochanksi. 4-11-15 Roger Pickenpaugh, Guest Speaker, Author of "Night of the Wicked Winds" and "Flood of Tears" discusses details of the many tornado events that took place Palm Sunday 1965 across several states and devastated lives. Roger Pickenpaugh focussed on local Lorain County stories. Wonderful presentation. Roger Pickenpaugh, Author and Presenter at the 50th Anniversary and Memorial Commemorative stands with Ralph Hayes, founder of The Pittsfield Township Historical Society and Pittsfield Historian. 4-11-15, many attend the Memorial Plaque Dedication Ceremony at Pittsfield Township Hall. It was a beautiful sunny day 53 degrees and blue skies for our memorial event. Refreshments were served and everyone appreciated the gathering. Wellington High School Drama Class, Mr Dave Conklin students: Camille Bowman, Megann Rosecrans, Taylor Petti, created a short documentary about the tornado and interviewed survivors who lived through and shared memories of the tornado night. The film was captured on DVD. As teacher Mr Conklin said, " Our goal was to capture this event for history and posterity." The film was presented at the commemorative event followed by stories from the audience including Charles Jackson, 82 and Gary Sanders, 67 and others. There were tears in the audience as they spoke their stories. The DVD is available for purchase from the Historical Society. March 11, 2010 Gary Genome entertains with a tune from the Civil War. May 18th, 2014 - New Indian Ridge Museum Director, Col. Matthew W. Nahorn presents and discusses the Amherst Old Spring & Braun Brewery (early to mid 1800's history). Wonderful history and presentation. 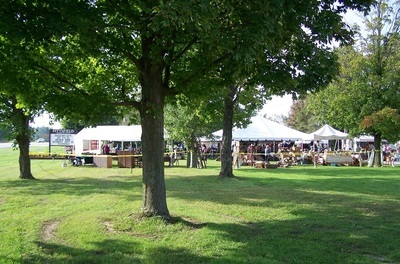 Photos Above: 2nd Annual Antique Homemades and Primitives Show Sept 20. 2014. A wonderful event. 80 degrees sunny skies and lots of visitors. Shawn Godwin bottom left corner and The "Crew" bottom right corner!! 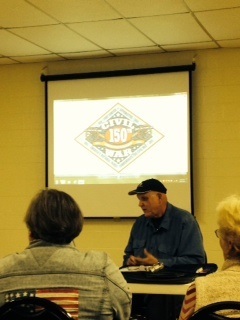 Oct 9, 2014; Talk on the Civil War (150 years ago) by Jim Smith of Lorain County Historical Society. An interesting and informative presentation of historical and unusual information about the Civil War. 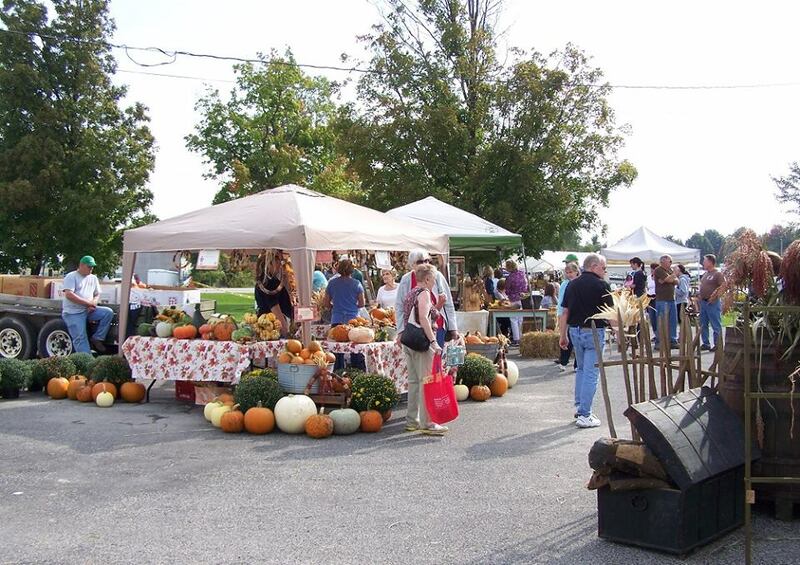 All Photos ~Copyright © 2014 Pittsfield Township Historical Society. All rights reserved.